THE PENTAGON – U.S. and NATO ships are focused on conducting freedom of navigation operations in Europe to push back against a Russia that is increasingly harassing commercial shipping and introducing new anti-access weapons into the theater, according to the head of U.S. naval forces in Europe. While these systems haven’t been used yet to try to keep out U.S. or NATO military forces, the Russians have been aggressive in the Sea of Azov. After building a $3.7-billion bridge over the Kerch Strait that connects Russia to Crimea, the Russians have been seeking to keep Ukrainian ships out of the strait and the Sea of Azov on the other side, even though under international maritime law the Sea of Azov is controlled by both Russia and Ukraine. “Along with the bridge goes the entry point to the Sea of Azov. If you’re keeping up with this lately, there’s been some irresponsible activity in the Sea of Azov in the last couple months, the Ukrainians are not happy about that. The Russians have delayed shipping, held them at sea, unable to enter port, any port, unable to go to sea. This is costing the Ukraine millions of dollars a year and it’s an unfair practice,” Foggo said Friday morning while speaking at an Atlantic Council event. The admiral said NATO forces would not look to patrol the Sea of Azov, as they have no claim to it, but he said the anti-access practices there make their patrols of the adjoining Black Sea all the more important. 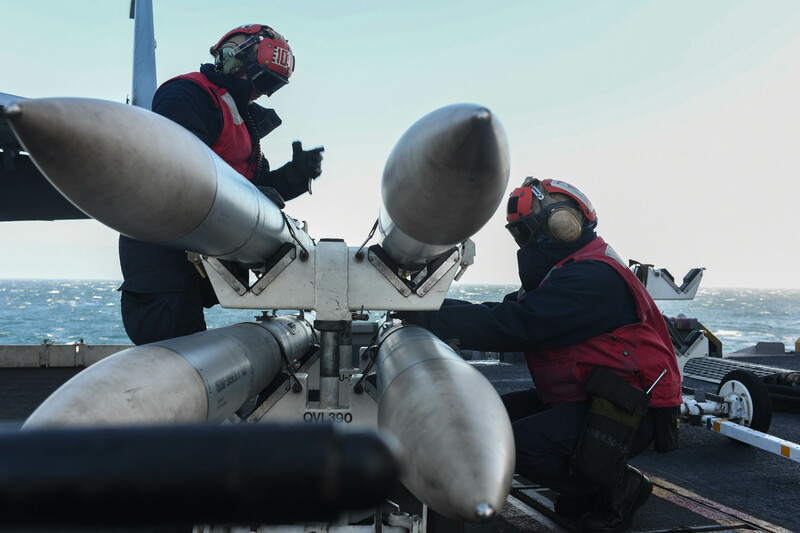 The U.S. Navy spends 125 days at sea there, the maximum allowed under maritime law for a nation that does not border the sea, and NATO forces also spent 125 days patrolling the Black Sea. “This is reassurance for our friends to the east, and we will continue to operate there because the model, the protocol of trying to block the Sea of Azov, will not stand in the Black Sea, and with our friends – the Bulgarians, the Romanians, Georgians, Ukraines and the Turks – we will continue as NATO to operate” in that location. “Same with the Mediterranean. It’s getting very, very busy in the Eastern Mediterranean,” Foggo continued. “We saw recently the buildup of several Russian forces and Russian sailors that came out and operated for a month just around Tartus and Latakia (in Syria) because there was ongoing operations and they felt the necessity to flex their muscles. That did not deter us from operating U.S. warships there. It does not deter us from operating U.S. and NATO warships in the Baltic because there’s a buildup in Kaliningrad. It does not deter us from operating in and around the GIUK Gap up north, and the carrier will prove that during Trident Juncture,” he said, referring to an upcoming NATO exercise in Norway featuring more than 45,000 NATO military personnel. 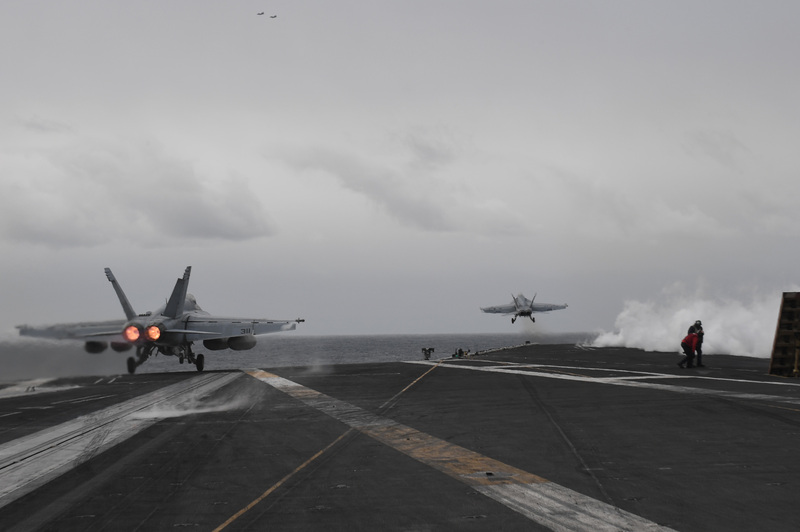 Two F/A-18 Super Hornets, assigned to Carrier Air Wing 1, launch from the Nimitz-class aircraft carrier USS Harry S. Truman (CVN 75) on Oct. 3, 2018. 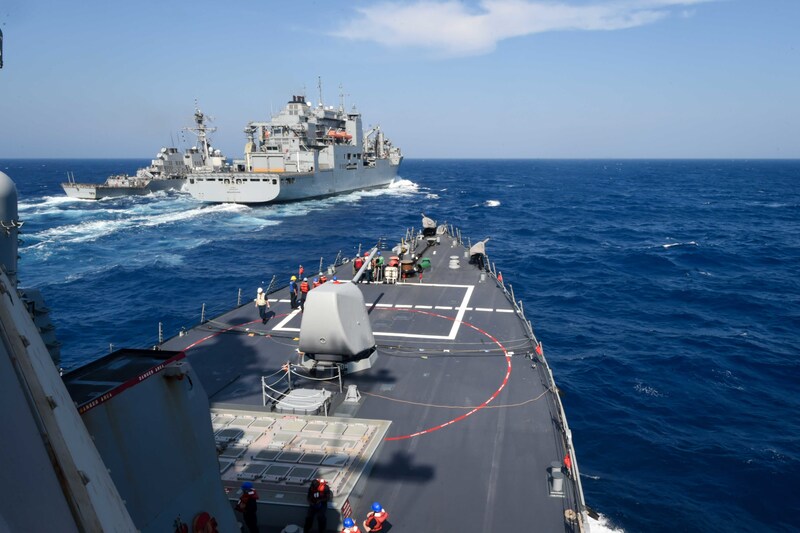 Currently operating in the U.S. 6th Fleet area of operations, Harry S. Truman will continue to foster cooperation with regional allies and partners, strengthen regional stability, and remain vigilant, agile and dynamic. US Navy photo. Foggo drew a hard line when it came to aggression at sea and attempts to restrict movement in international waters. “I am confident that we are able to act with the technologically superior capabilities that we have within not just the United States Navy but all of NATO. That’s not to say that we’re not going to get to areas that are going to be contested, and we’re going to have to operate as we do as a sophisticated group of navies in order to deny the adversary the capability or the opportunity to keep us out of areas that are international waters,” he said. Aviation Ordnanceman 3rd Class Rachael Foley, left, assigned to the Red Rippers of Strike Fighter Squadron (VFA) 11, and Aviation Ordnanceman 2nd Class Laricia Kays, assigned to the Fighting Checkmates of Strike Fighter Squadron (VFA) 211, perform maintenance on aviation ordnance aboard the Nimitz-class aircraft carrier USS Harry S. Truman (CVN 75) on Oct. 2, 2018. US Navy photo. Speaking later Friday to reporters at the Pentagon, Foggo told USNI News that it would be important to have a greater naval presence in Europe than the U.S. has had in the last two or three decades, and that this year’s presence by the Harry S. Truman Carrier Strike Group and the Iwo Jima Amphibious Ready Group were part of the effort to boost presence to reassure allies and to keep an eye on Russian activity. With the Truman CSG now back in the region – spending time in Iceland and the North Sea ahead of Trident Juncture – “that sends a very strong message that the United States will operate anywhere, either unilaterally or in collaboration with our NATO partners and allies. And like I said, nobody in the world can come close to a U.S. nuclear-powered aircraft carrier in terms of firepower, dwell and endurance,” he said.